A burglary can happen at any second, all with the quick smash of a single window. 3.7 million burglaries happen every year in the United States, according to the US Bureau of Justice Statistics. You could easily become one of those million home invasions. Intruders could target your home while you are away, or try to enter your home while you are sleeping. Many intruders try to steal valuable items, and they resort to violence if homeowners try to stop them. You never know when your home will be targeted by an intruder. Home intrusion and burglary are both incredibly common in modern society, so homeowners must implement measures to protect their families from the criminals of the outside world. It is important to install safeguards that help to detect an intrusion, alert authorities, and maximize the difficulty of breaking into your home. Fortunately, new technologies enable you to protect your property effectively, so your family and property will remain safe. With the latest advancements in home security, you can stop an invasion before it occurs. Smart home devices are becoming increasingly more prevalent, and for good reason: they’re effective at keeping homes safe. 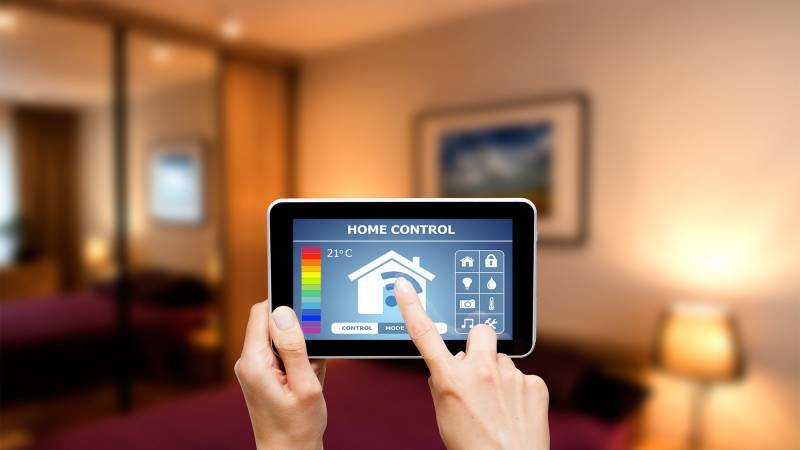 Computers and wireless technology have transformed almost every aspect of modern life, and smart home products are one of the most beneficial improvements. Home security products can now make intelligent decisions without human input, so defense measures can be implemented quickly in the event of an intrusion. Unlike the home security systems of the past, modern smart home security products are able to verify the presence of intruders and choose the most appropriate response–all without human intervention. Yet at the same time, many smart home features are also designed to give you maximum control over your security system while you are away from home. With the right technology, you can see what’s happening in your house from far-off places and check in on your security. Traditional metal keys have been used for thousands of years, so professional burglars perfected the art of picking locks long ago. Modern smart locks are different, though: they cannot be picked because they use an encrypted electronic interface to verify the validity of a key. Some don’t even rely on keys, but rather a special access code. Smart locks are both more secure and more convenient because you can use a wide range of devices, such as smartphones, tablets, and specialized electronic keys, to unlock doors with these locks. Only those you grant electronic access to can enter your home, and the system will report any attempts to enter by forbidden devices. Aggressive intruders sometimes attempt to assault a homeowner by ringing a doorbell before forcing their way inside. 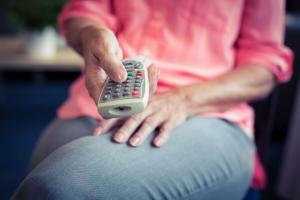 You can install video doorbells to maximize your family’s safety. These high-tech doorbells detect movement, turning the camera on as soon as motion occurs near your front door. Synced with your smartphone, a video doorbell allows you to see who’s at your door from a remote location. Video doorbells can also enable you to communicate with people who are at your door from your smartphone, giving you the chance to verify whether or not the person is a potential intruder at home and from far away. Traditional motion detectors are very inaccurate–they may respond to pets, deer, or other harmless objects, setting off an unnecessary alarm. Smart motion detectors, in contrast, use modern cameras and computer systems to both detect and understand moving objects. This improved technology means motion detectors can now make smarter decisions, determining the level of danger before notifying you. Many smart motion detectors can recognize humans moving in suspicious ways, record their actions, and alert homeowners. There are even smart motion detectors available that use thermal imaging technologies to accurately detect motion in total darkness. The rise of smartphones has revolutionized how people interact with technology, and right now these incredible devices are changing the way we interact with our homes. You can now receive notifications anywhere in the world, watch live video over the Internet, and visit any website on your phone with the touch of a button–and these capabilities are being integrated into home security. Smart security systems have adapted to the advent of smartphone technology to give homeowners comprehensive control over their home’s security from anywhere in the world. You can see the interior and exterior of your home, learn who’s come to the front door, and monitor mail delivery. It’s all possible with today’s life-changing technology. As hardware technologies are becoming more advanced, integrating miniaturized computers into almost any device is becoming feasible. The Internet of Things (IoT) seeks to incorporate logic into almost any product to improve efficiency and enable autonomous control from a remote location. A wide range of IoT-enabled products will soon be available that will help homeowners minimize the risk of an intrusion. 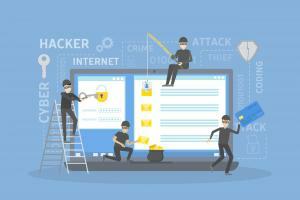 For example, windows that are built with advanced intrusion detection systems are being developed to reduce the need for unsightly third-party sensors. 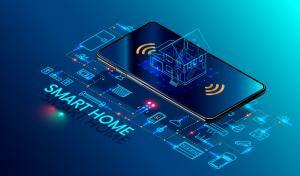 Although IoT technologies are only starting to emerge, they will have a growing impact on all security products in the years ahead to help homeowners keep their families safe. Many high-tech home security products can be expensive to install because they require physical wiring for power and communications. However, many smart home security products minimize the cost of installation by allowing you to install them without any physical wiring. Wi-Fi technology is often used by modern security products to communicate with a computer system, and batteries with an extended life expectancy are used instead of copper wires. Many wireless security systems, on the other hand, are inexpensive, so homeowners with a minimal budget can afford to protect their homes. Wireless security also enables homeowners to place security products in places that are difficult for an intruder to reach, such as in a tree or on a pole, without having to cover their yard in unsightly wires. These advanced technologies and devices are better at protecting your home and your family than ever before. With the ability to see, control, and adjust your security settings from anywhere, you’ll lower your odds of being surprised by a burglary or home invasion. Before you choose this new technology for your own home, be sure to do your research with an online search. As these smart security devices continue to evolve, their prices will change rapidly–and so too will your many different options.